Want an easy homemade jam recipe? Read on! Savor the flavor of juicy, seasonal fruits by making jams. 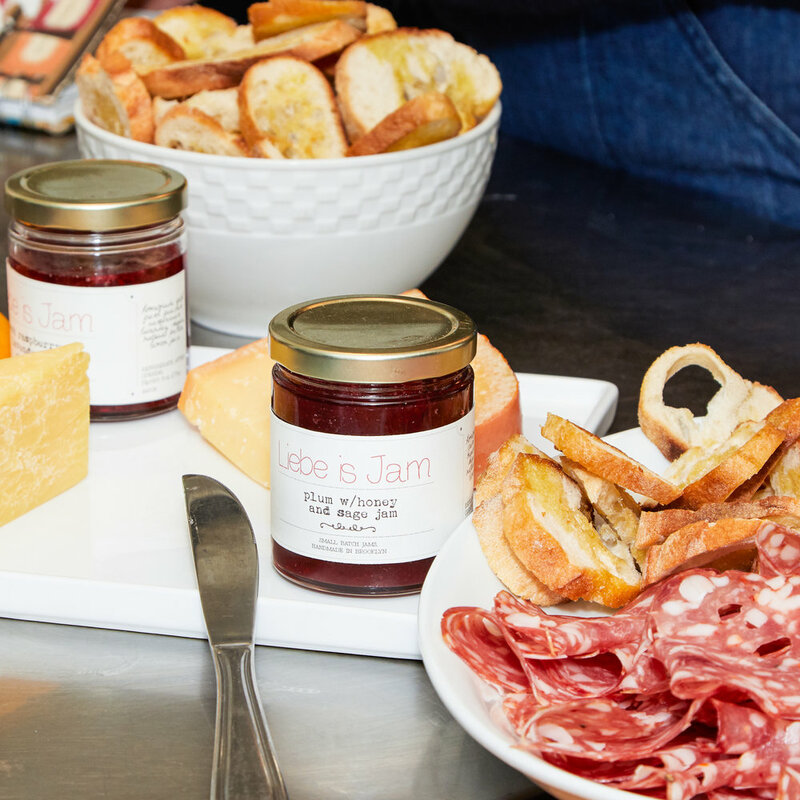 The opportunities are endless: spread jam on toast, pair it with meats, cheeses, and nuts on your hors d'oeuvres platter, and even add a spoonful to your favorite cocktail for a refreshing summer beverage. 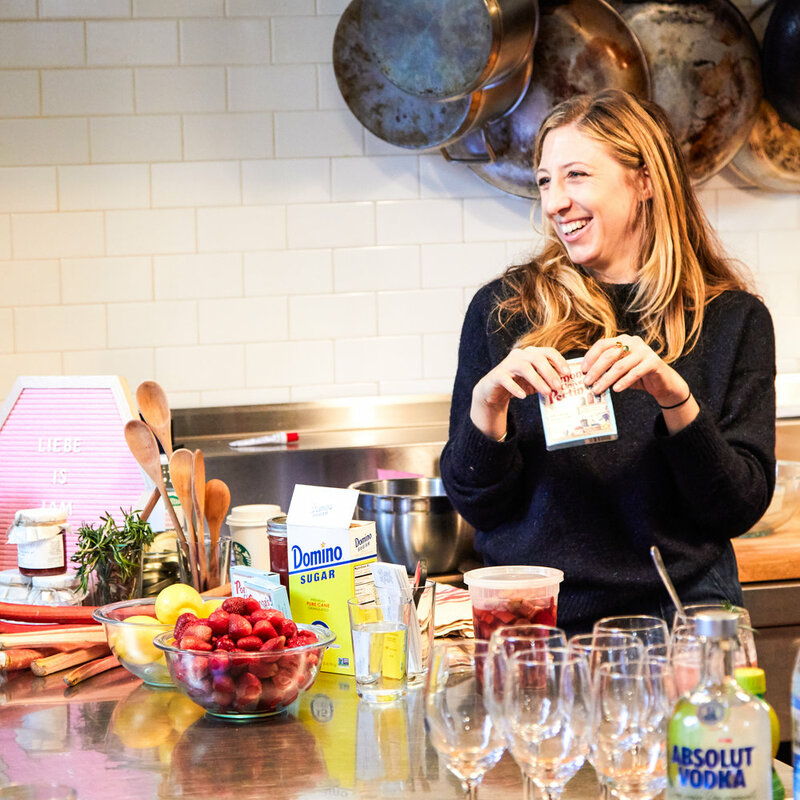 Brooklyn based blogger, photographer, food stylist, and caterer Nicole Rutsch of The Brooklyn Fräulein taught our classes the ins-and-outs of jam making. Recipe below. 1. Combine strawberries and rhubarb, rosemary in a medium to large saucepan over medium heat. 2. Add lemon juice. 3. Once mixture starts to bubble, reduce heat to medium low. 4. Continue to cook, stirring occasionally, until the strawberries and rhubarb start to soften. Use a masher and crush the fruit. 5. Mix together sugar and pectin in a small bowl then add the sugar and the pectin to the pan. 6. Cook the mixture until it thickens at a low temperature. 7. Once its thickens, remove the jam from the heat and fill into your sterilized jars.